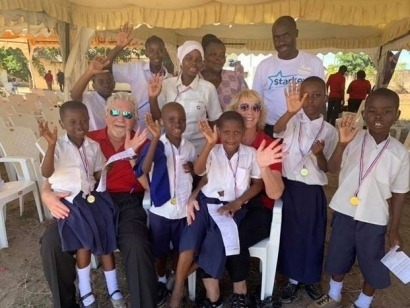 Dr. Gyl Kasewurm and her husband, David, recently returned from a mission trip to Africa where they gave the gift of hearing to 1,500 children and adults. Dr. Kasewurm is proud to join forces with the Starkey Hearing Foundation to support their efforts. The Starkey Hearing Foundation brings understanding among people through hearing care by focusing on awareness, education, protection and treatment, so the world may hear. 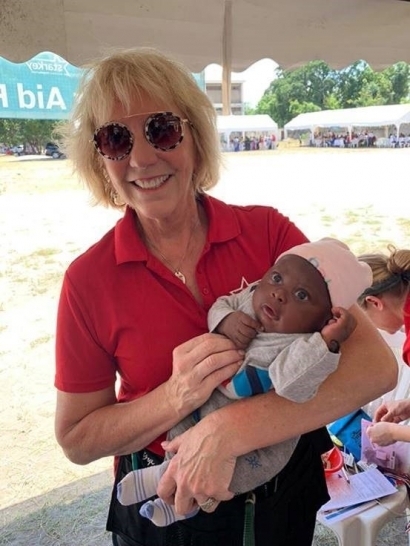 They provided the gift of hearing to over 160,000 individuals around the world in 2018. This is Dr. Kasewurm’s fifth mission trip with the organization and she is currently serving as a Board member for the organization. 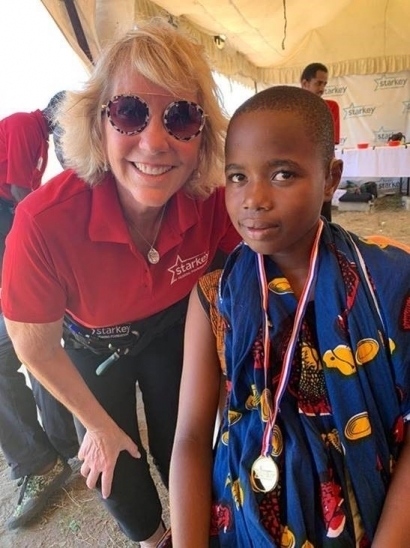 During this trip, Kasewurm and her husband also participated in the graduation of eight students from six African countries from the Starkey Hearing Institute in Lusaka, Zambia. After nine months of classes and intensive hands-on training, the students are now certified hearing care specialists. 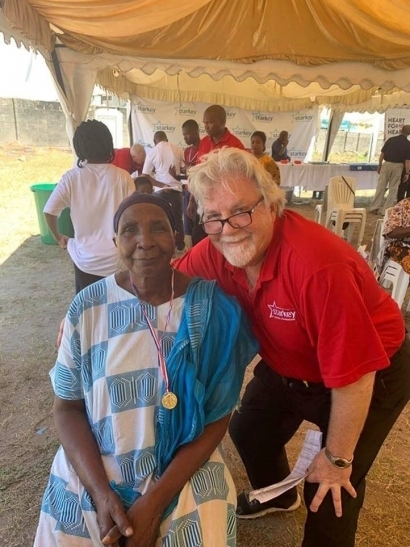 The Starkey Hearing Institute has now graduated 30 specialists working within Africa, a country that has more than 50 million people that suffer from the devastating effects of hearing loss. Dr. Kasewurm is an audiologist and owner of Dr. Kasewurm’s Professional Hearing Services in St.Joseph, Michigan. Her practice has been serving the residents of Michigan’s Great Southwest for over 35 years and is a benchmark for practices across the country. Learn more about the work of Dr. Kasewurm and the Starkey Hearing Foundation through their websites.